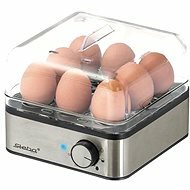 With the modern CLATRONIC EK 3497 kitchen appliance, you can professionally prepare your eggs without having to watch them during cooking. 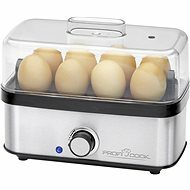 Correctly and quickly you can prepare a large amount of eggs for salads, spreads or sauces. 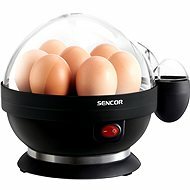 The egg cooker is designed for 1 to 6 eggs. A special measuring cup with a tip for piercing the shells can also be used. 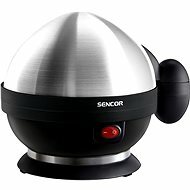 When the eggs are ready, an acoustic signal sounds. You will be alerted to the operation of the device by a backlit switch. The non-adherent cooking bowl is easy to clean. 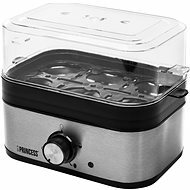 The lid and holder can be washed in the dishwasher. 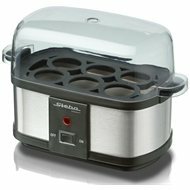 Egg preparation has never been so easy! For shipping to other EU countries visit this page CLATRONIC EK 3497. Für Versand nach Deutschland, besuchen Sie bitte CLATRONIC EK 3497. Chcete doručit zboží do Česka? Prohlédněte si CLATRONIC EK 3497. Chcete doručiť tovar na Slovensko? Prezrite si CLATRONIC EK 3497. Für Versand nach Österreich, besuchen Sie bitte CLATRONIC EK 3497. Magyarországra történő kiszállításért tekintse meg ezt a termékoldalt: CLATRONIC EK 3497.